his own design consultancy back in 1993. With a very hands on approach to managing and building the business, Mark still drives the creative direction of the business across all of the offices supported by the award winning teams in the regions. As well as being very hands on with the design and branding process with his team, Mark’s keen eye for photography has put him firmly behind the lens for a number of the company’s corporate and hospitality clients around the world. He also leads and facilitates brand workshops for individual hotels and hotel groups. From creating new brands, refreshing existing, or helping define a hotel’s business positioning to focus marketing and sales initiatives. Latitude is an integrated brand and design agency with a particular specialism in the Hospitality and Lifestyle branding sector. With over 30 professionals in offices in the UK, Dubai, Vancouver, OC California and most recently, Singapore, we are able to connect our clients’ audiences, wherever they are in the world. We like to call it ‘the power of one vision’. Along this journey, the company has worked with some of the major players in the corporate, hospitality and lifestyle sectors of industry, with an enviable client list and portfolio of work. Patina Hotels & Resorts – A new luxury hotel brand out of Singapore with a global vision. Starting with a blank sheet of paper, Latitude worked closely with the client through a series of workshops to bring definition to this brand and importantly, differentiation in the market. Starting with a brand discovery book, the agency is now implementing the brand across all media channels. 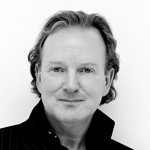 Mark is also a member of the Chartered Society of Designers and the IOD (Institute of Directors) in London. As a keen cyclist, the term MAMIL (middle aged man in Lycra) is live and kicking! Daily commuting, weekend road cycling with a team, and single track mountain biking in Canada at our summer retreat, keeps me fit in mind and body. For a more relaxing sport, fly fishing also ranks highly these days. In London the Art and Theatre world are on our doorstep, so my wife and I enjoy weekly excursions to shows, galleries and live music events. And of course the British pub and London’s vibrant restaurant scene.